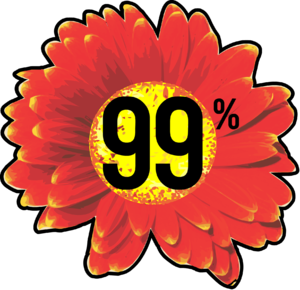 In April 2012, The 99% Spring trained 100,000 people in nonviolent action. It’s an audacious plan, but movements can do great things when everyone works together. If you run an organization, please fill out the form below. Sign on to the launch letter, encourage your members to participate, and step up to anchor training activities in the cities you’re strongest in. Together we can change America. April 9-15, 2012 , 100,000 Americans will train for non-violent direct action. Our country is at a crossroads. We have a choice to make. Greater wealth for a few or opportunity for many. Tax breaks for the richest or a fair shot for the rest of us. A government that can be bought by the highest bidder, or a democracy that is truly of the people, by the people, and for the people. The choice is in our hands. This spring we will act on that choice. In the tradition of our forefathers and foremothers and inspired by today’s brave heroes in Occupy Wall Street and Madison, Wisconsin, we will prepare ourselves for sustained non-violent direct action. Tell the story of our economy: how we got here, who’s responsible, what a different future could look like, and what we can do about it. Learn the history of non-violent direct action, and Get into action on our own campaigns to win change. This spring we rise! We will reshape our country with our own hands and feet, bodies and hearts. We will take non-violent action in the spirit of Martin Luther King, Jr. and Gandhi to forge a new destiny one block, one neighborhood, one city, one state at a time. We are the 99%. For the 100%. And this is our moment. This page was last modified on 17 April 2017, at 00:22.